Foto Langka: How to Presenting Puffer Fish or Fugu Fish or Blow Fish for Sashimi? 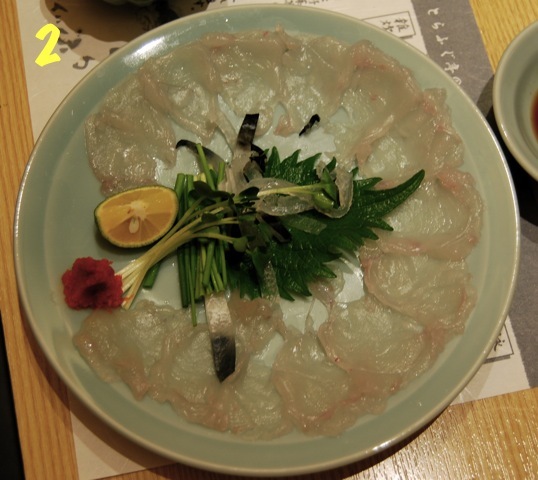 How to Presenting Puffer Fish or Fugu Fish or Blow Fish for Sashimi? Puffer Fish or Fugu Fish meat is not really dangerous or toxic. Precisely for its devotees, Puffer Fish or Fugu Fish meat has a distinctive flavor and enjoyment of its own. Puffer Fish or Fugu Fish taste delicious, spicy taste a bit sweet, not least when compared with salmon. 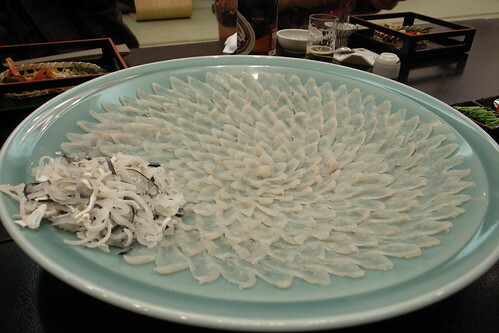 The most toxic part of the fugu is the liver, eggs, and digestive tract. Only, if at the time of processing contaminated organs in the broken part, the meat becomes very toxic and deadly. 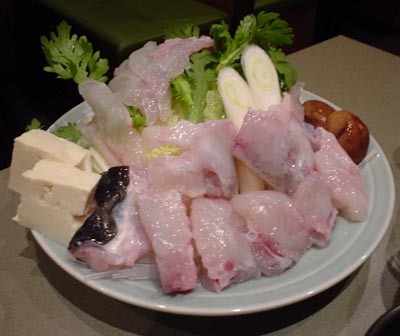 Given the high risk if the fish is wrong in its processing, then in Japan only chefs who have a certificate from the Ministry of Health is permitted to process this bloated fish for general consumption. So that in Japanese, cooking menu containing pufferfishes Quite expensive. In a restaurant in Osaka to sell bloated fish menu with a price 10 500 yen.